Balloons are flying in class colors, white tents are offering festive cover from the sun, and phalanxes of golf carts stand ready for action. Wellesley alumnae from class years ending in 9 or 4, with attendees from the Class of 1939 through the Class of 2009, are celebrating reunions at Wellesley this weekend. When the oldest attendees of Reunion 2014 were graduating, Lou Gehrig had just ended his 2,130 consecutive game streak, the comic book Batman was new to the market, Kay Kyser's Three Little Fishies topped the charts, and Adolph Hitler and Benito Mussolini signed their "Pact of Steel." When the youngest attendees were graduating, Danica Patrick had finished third at the Indianapolis 500, the world was bracing for a possible "swine flu" (H1N1) epidemic, Pitbull's I Know You Want Me topped the charts, and the Pakistan army and Taliban battled in the Swat Valley. From countless different vantage points, alumnae return with a shared love of this place. The Alumnae Association’s mission—to connect alumnae to the College and to each other—is fully realized at reunion. Throughout the weekend the Alumnae Association offers a variety of faculty lectures, open houses, yoga sessions, meals, Stepsinging, campus and campus building tours, and class-specific programs. 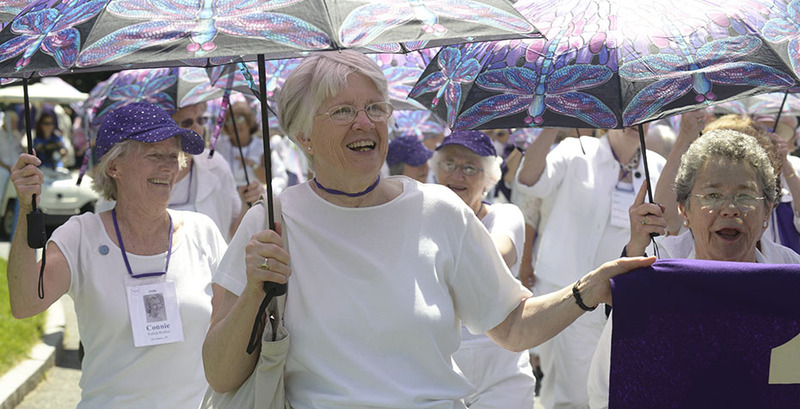 Glorious weather is expected for the weekend, including the traditional parade to Diana Chapman Walsh Alumnae Hall, where the annual meeting of the Wellesley College Alumnae Association takes place. In a unique event this year, former U.S. Secretary of State Madeleine Korbel Albright, on campus celebrating 55 years with the Class of 1959, will help officially open Wellesley’s Athletic Hall of Fame on Saturday, June 7, at 2 p.m. in Alumnae Hall. As alumnae renew their familiarity with one another and their old stomping grounds, they will also see evidence of ongoing campus renewal, in particular at the Dorothy Towne Field House where renovations are in full swing and at Schneider, where the finishing touches are being put on the new space for student-centered services. And if alumnae have not visited Wellesley since their last Reunion, they will notice other changes. Four years ago, Wellesley opened the doors of the renovated and LEED-certified Diana Chapman Walsh Alumnae Hall; on the east side of campus, the Whitin Observatory has been renovated and shares the expanded space with the Geosciences Department.